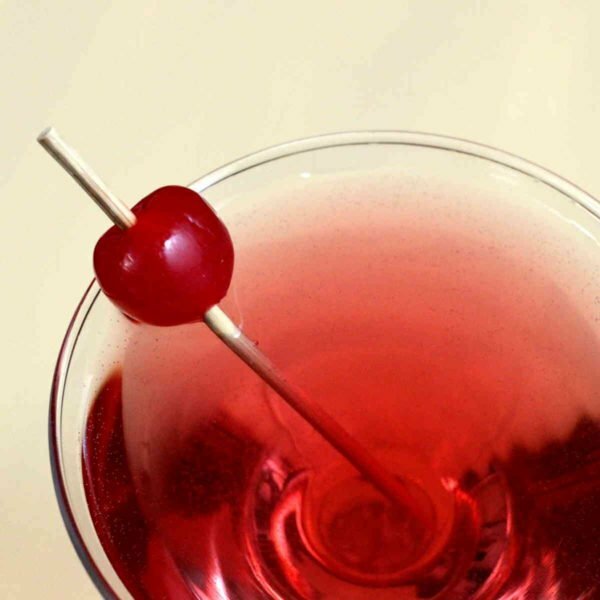 The Chocolate Cherry Cha-Cha drink recipe was the result of an hours’ long recipe experimenting session with a friend. When we put coconut rum with chocolate and cherry flavors, we never expected it to taste uncannily like a chocolate covered cherry, but that’s what happened. Somehow, the coconut flavor became a silent partner, adding sweetness but not a discernible flavor. Of course, what makes this one really special is the club soda or sparkling water. I personally prefer Gerolsteiner mineral water, which is more bitter than most mineral waters and makes the sweetness of the drink even more delicious. But your preference may vary, and any sparkling water will turn this into a refreshing alcoholic soda. This drink makes a fabulous dessert, with the Malibu coconut rum adding sweetness and bringing out the cherry and chocolate notes. It’s also beautiful for any holiday featuring the color red – a lovely Christmas or New Years holiday drink, or a perfect date drink for Valentine’s Day. 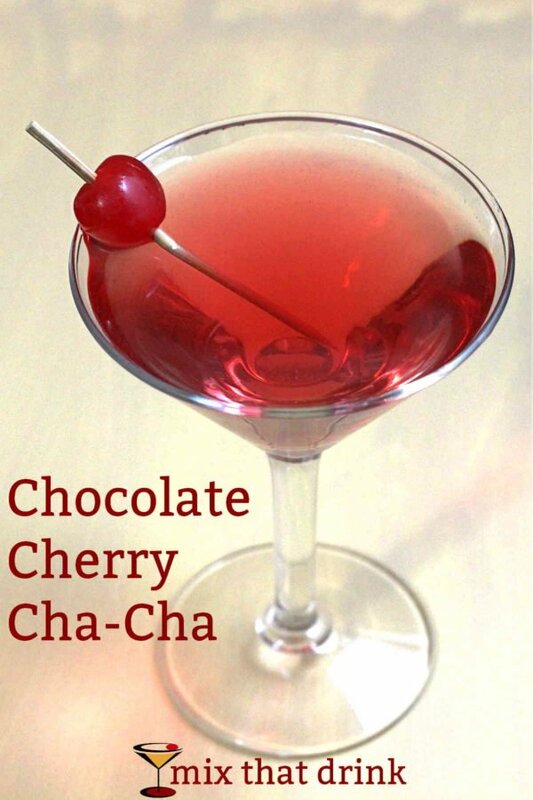 If you enjoyed this one, check out the Chocolate Raspberry Martini, which has two versions. Both of them feature raspberry vodka along with some form of chocolate liqueur. 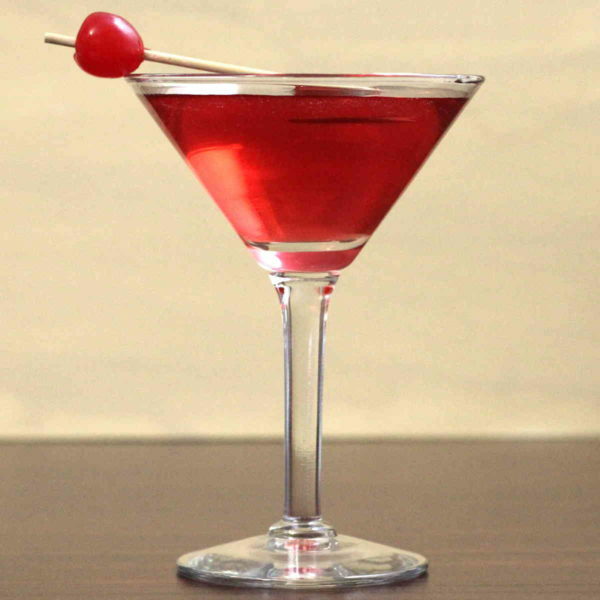 The Berry Chocolate Martini is along the same lines, but with blackberry schnapps.